Early morning comes to a green valley near Marshall, Arkansas. Hurricanes and earthquakes of the soul . . . The lush vegetation of Puerto Rico has been replaced by broken trees, homes lying in ruins, a painfully barren landscape. “Hurricane Maria destroyed us,” said Edwin Serrano, a construction worker in Old San Juan. Dominica was devastated. Thousands of trees snapped and were strewn across the landscape, leaving the island completely stripped of vegetation. Dozens of mudslides turned the sparkling blue-green sea to a murky, muddy brown. At least 286 people were killed in Mexico City by a magnitude 7.1 earthquake. A rescue operation at the city’s Enrique Rébsamen school resulted in the rescue of eleven children, but nineteen children and six adults were killed. Extreme urgency permeated the school as more than 700 rescue workers continued digging after two days without sleep, knowing that survivors would be able to last only about four days. In a very real sense, nature turned on the survivors, leaving them despairing from disasters that created devastation in many forms. Destroyed cities, of course, physical injuries and homes left in the rubble, yes. But also wounds of the soul that are lasting and life-changing. People who live through natural disasters live with a kind of violence, violence that is perpetrated randomly by nature. When one depends upon nature’s rhythms to provide sunlight and moonlight, rain and breeze, the predictable tide of breaking waves and calm waters, the suddenness of violent storms and earthquakes assault the psyche. Nature is usually a constant, comforting presence, but a natural disaster leaves those in its wake coping with an environment that resembles a war zone. Living in that kind of environment day in and day out causes behaviors similar to those identified with persons who suffer from PTSD (Post-traumatic stress disorder). The assault by nature creates a chronic and debilitating state of fight or flight. 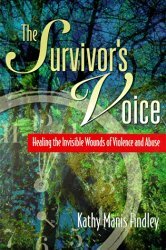 To cope, survivors develop the ability to numb their feelings and repress intrusive memories. This leaves many of them with enormous anxiety, feeling that the world is no longer a safe place. While many symptoms of PTSD are evident, often the most frightening symptoms are those not readily visible, secret symptoms and reactions such as disorientation, memory lapses and night terrors. These symptoms are buried in the deep crevices of the psyche. Wounds to the soul and spirit are caused by events that violate one’s most deeply held sense of safety and security, and it is important to address PTSD not as a “disorder,” but as a response, an appropriately normal response to an overwhelmingly abnormal situation. So when we send positive thoughts, donate, and pray for the restoration of these ruined cities, we must also be intentional in praying for healing of the soul and spirit of every survivor. Long after buildings and homes have been repaired, survivors will live with a deep wound of the soul that can only heal with time, prayer, faith and hope, as wounded people learn to abide with the God who walks with us through every “valley of the shadow of death.” The Scripture can be a comfort in such times, and often the most familiar passages are the ones we lean on. Until that day when tender green shoots once again begin to fill the landscape in those devastated countries, may the wounded people walk through the green pastures of the heart and the still waters of the spirit with the Gentle Shepherd who restores the soul and leads to peace. The past and its memories can be harsh. Especially for those who have experienced great hurt. I call such hurts wounds of the soul. After the injury ceases its pain, after the scars heal, the wounds of the soul remain. They remain forever as a reminder, not only that I was hurt, but also that I survived. I have learned not to be enslaved by my wounds. They remind me that I was stronger than the thing or the person that tried to hurt me. How does one heal the wounds of the soul? You don’t heal them. They never go away. They remain on the soul as badges of courage and reminders of strength and perseverance. They happened in the past, of course, but they make me more mindful of the glories of the present moment. In spite of the soul’s wounds, I am filled with acceptance, joy, peace and love. There is a part of me that is grateful for the wounds that stay with me. They make me stronger. They make me resilient. They make me wise enough to not be hurt again. I want to always remember that the soul is able to endure the wounds. The soul’s memories will always mark the time of the hurt and hold it for safekeeping. The soul will bear its wounds with grace, thankful that they make us the person we are meant to be. For eight years, Amin carried out mass killings within the country to maintain his rule. An estimated 300,000 Ugandans lost their lives during his regime. Aside from his brutalities, he forcibly removed the entrepreneurial Indian minority from Uganda, which left the country’s economy in ruins. Schools were gutted. Churches were banned. Wildlife was destroyed by poaching. Amin’s atrocities were graphically accounted in the 1977 book, A State of Blood, written by one of his former ministers after he fled the country. Now a country of widows and orphans, Uganda suffered greatly. At the end of Amin’s reign, my husband and I moved to Uganda to help with the country’s long recovery. We worked with villages digging water wells, distributing seeds, fertilizer and gardening tools, bringing in medicines, vaccines and protein supplement, and offering books, bibles and sewing supplies. Remember, O Lord, what has happened to us. we are tired, but are allowed no rest. . . Nothing is left of all we were proud of. and can hardly see through our tears. . .
Why have you abandoned us so long? Bring us back to you, Lord! Bring us back! The people were on their knees in prayer, some crying silent tears, others wailing out their grief. One woman began to sing and quickly was joined by the whole congregation. In the midst of their tears, they sang this joyous tune, and then, all over the building, they began to dance. That is the way they endured their unspeakable grief and loss. That is how they embraced life after a time if deathly evil . . . with singing and dancing. Do I wish I had healthy, functioning kidneys? Of course I do. But I have embraced healing that is my reality, and it’s not a bad life. 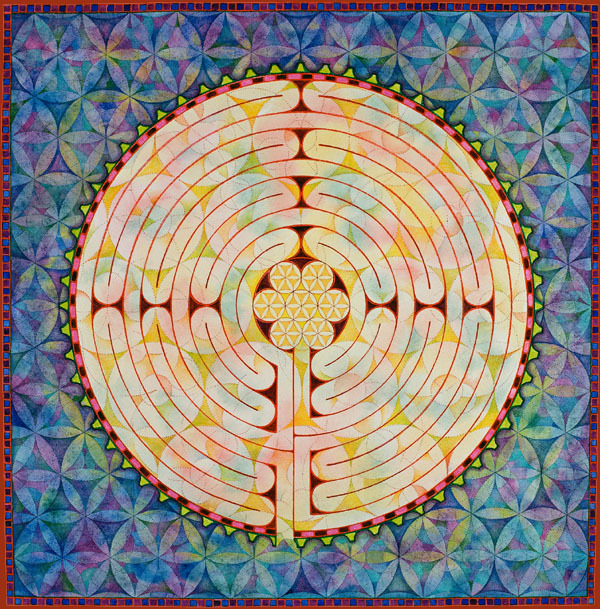 I have learned that beyond any doubt that the physical, emotional and spiritual parts of me are inextricably interconnected. Genuine healing occurs when all three are well balanced. This kind of healing has its way with the illness, and in very significant ways, thwarts the disease process. I am blessed to experience healing. It is as if God is leading me into healing waters that begin a process of being made well, in the Spitit, the soul, the mind and the body. Healing is not a noun, it is a verb, and it is a continual process within me.